In 1969, Tony Joe White came howling out of the swamplands of Louisiana into the national spotlight with his classic, »Polk Salad Annie,«--a Top 10 Hit, followed in 1970, by Brook Benton’s soulful rendition of White's timeless classic, »Rainy Night In Georgia.« Thirty years later he’s still doing just what he’s always done, creating soul-flavored, blues-drenched, truth-injected songs about swamp characters and reflective soul-tinged ballads about life and love. 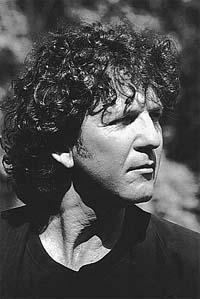 Throughout the ‘70s and '80s Tony Joe White toured with some of the biggest artists of the decade including Credence Clearwater Revival and James Taylor. The 1990s began with an explosion of activity for White as superstar Tina Turner recorded four of his songs for her multi-platinum selling Foreign Affairs album including the world-wide hit, »Steamy Windows«. With the advent of that project, White formed an alliance with Turner's manager, Roger Davies and his career began to soar. While there was a certain »mystique« surrounding White in the United States, it was in Europe where he gained legendary status. In 1991 he signed with Remark and debuted Closer To The Truth and spent the next two years touring Europe with Eric Clapton and Joe Cocker, among others. He cut two more albums for Remark, 1993s Path Of A Decent Groove and '95s Lake Placid Blues, the latter garnering the first of two nominations for »Best R & B Album« from the Nashville Music Awards, (the second being, The Best Of Tony Joe White, a 1996 retrospective of his work on Warner Bros.). 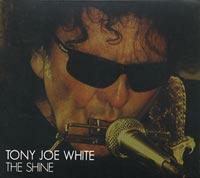 French audiences eagerly embraced White as the ‘Swamp Fox’ and in 1998, he became the subject of a French produced documentary: Tony Joe White-The Man From Down South. In 1999, White went back to his roots and recorded One Hot July, in the swamps of Louisiana. He then toured Australia and Europe once again in support of the critically acclaimed album. In 2001, Audium and Koch Entertainment released The Beginning - a stripped down in your face acoustic masterpiece that received worldwide recognition and five star ratings in virtually every country. 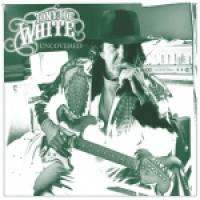 Throughout the years, White has had songs recorded by dozens of major artists including Elvis, Ray Charles, Joe Cocker, Etta James, Hank, Jr., Tim McGraw, John Mayall and Waylon Jennings, (who recorded numerous White covers-including the ’99 release, »Closing In On The Fire«). Most recently, he has worked with Marc Bryan of Hootie & The Blowfish and Michael McDonald (with whom he co-wrote a song recorded by Joe Cocker). He has written and performed jingles for McDonalds and Levi’s 501 Blues and been featured on movie soundtracks for Millennium, Selena and Hotspot. His music has also been featured in two HBO original films. People who are still »Searching For Tony Joe«…as witnessed by the award-winning documentary of the same name, can find the self-proclaimed lone wolf on tour this fall. His most recent CD release is entitled, Snakey, the first new product recorded on his own label, Swamp Records. White says he created the company with his son Jody White, so that he could continue to produce music the way he always has -- his way.